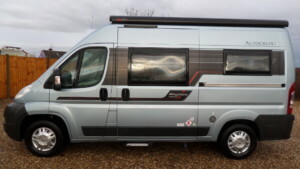 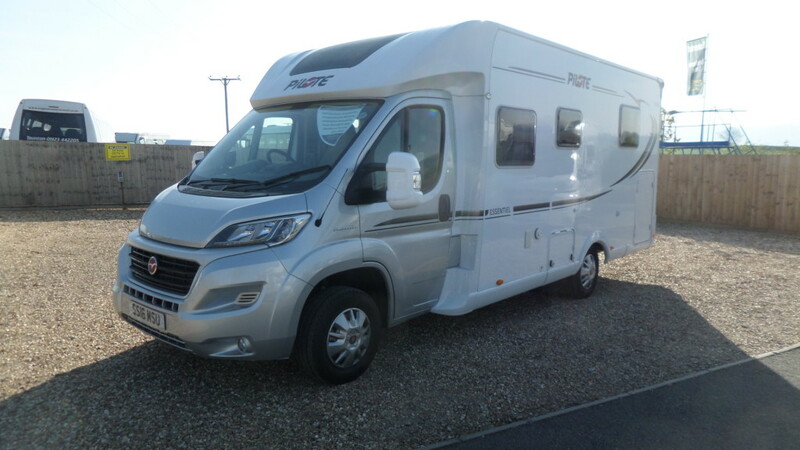 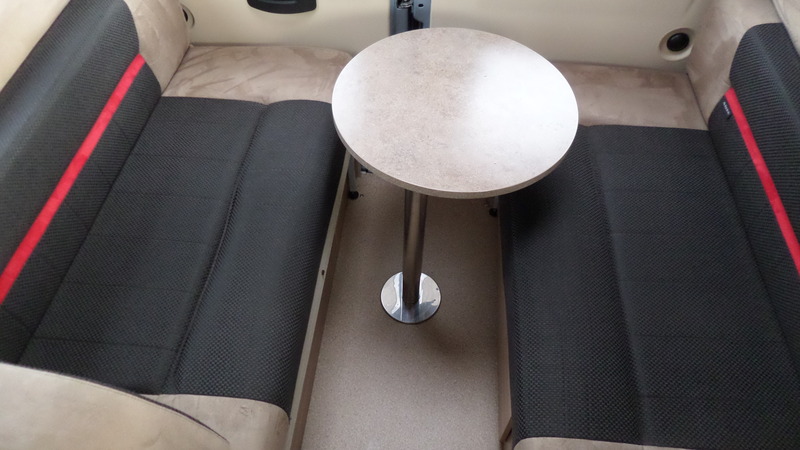 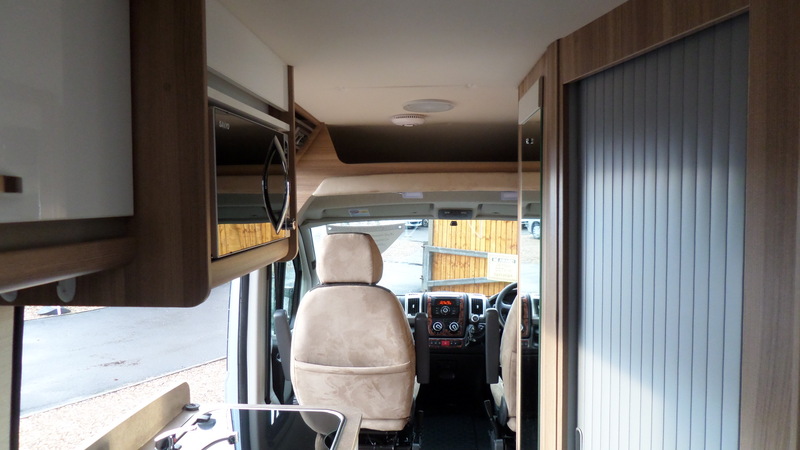 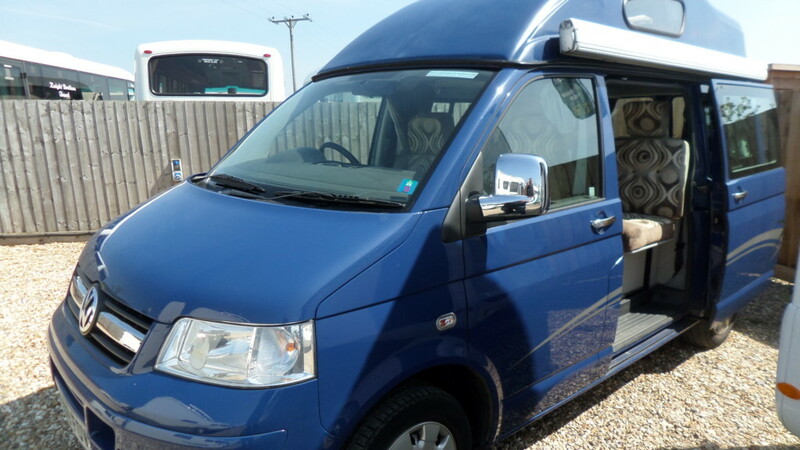 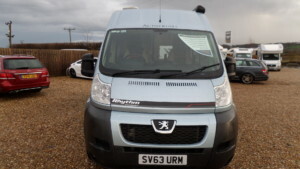 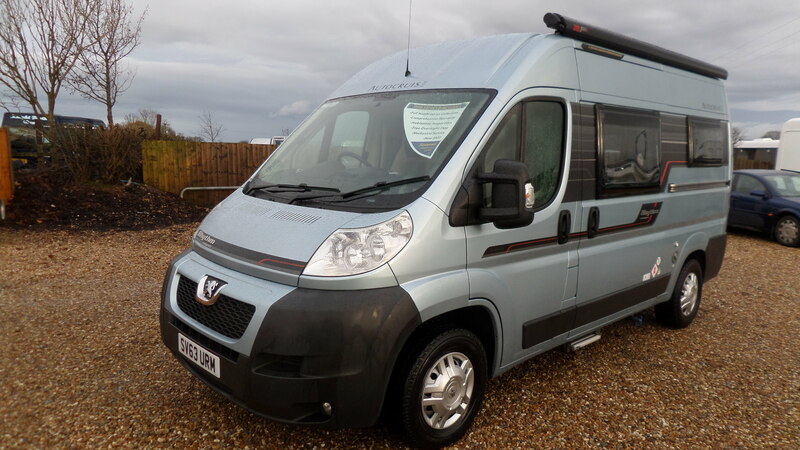 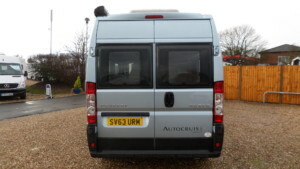 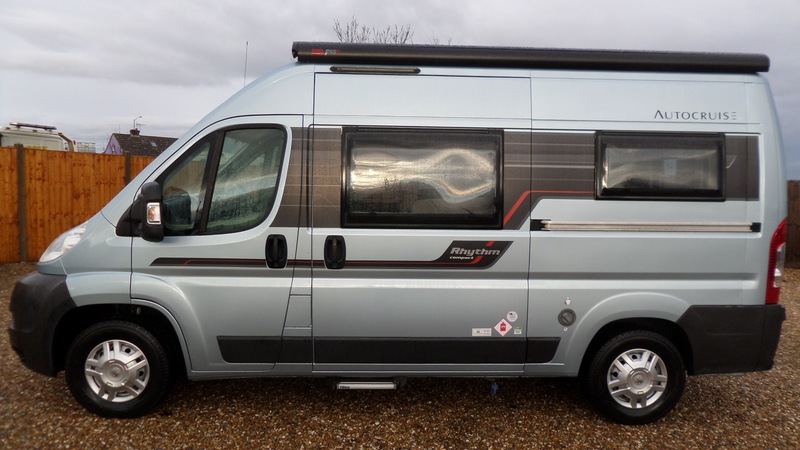 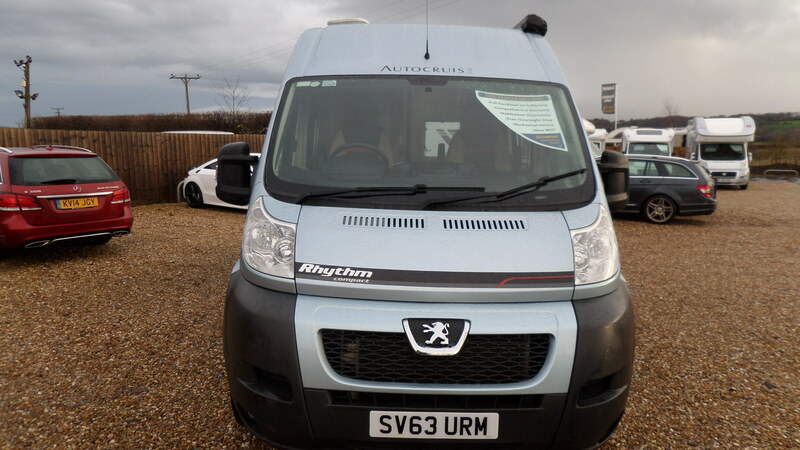 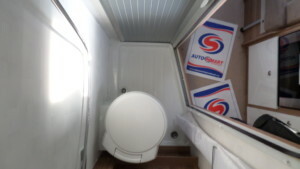 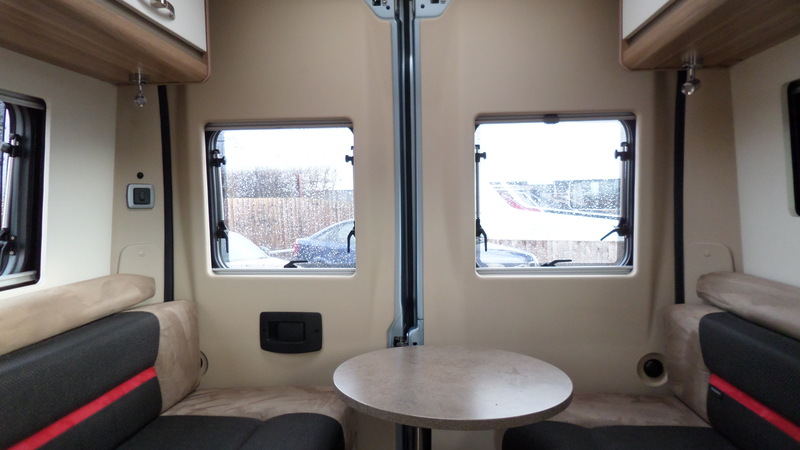 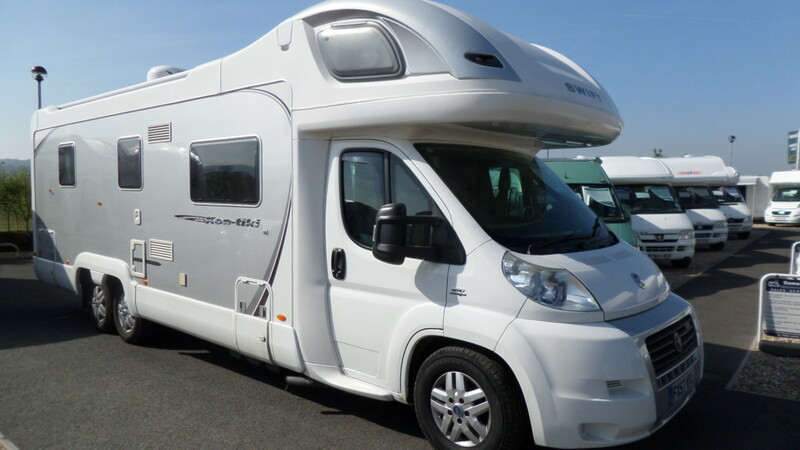 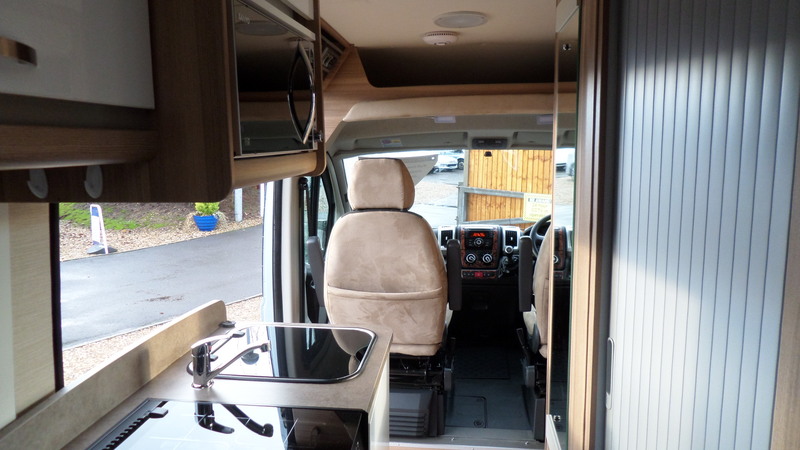 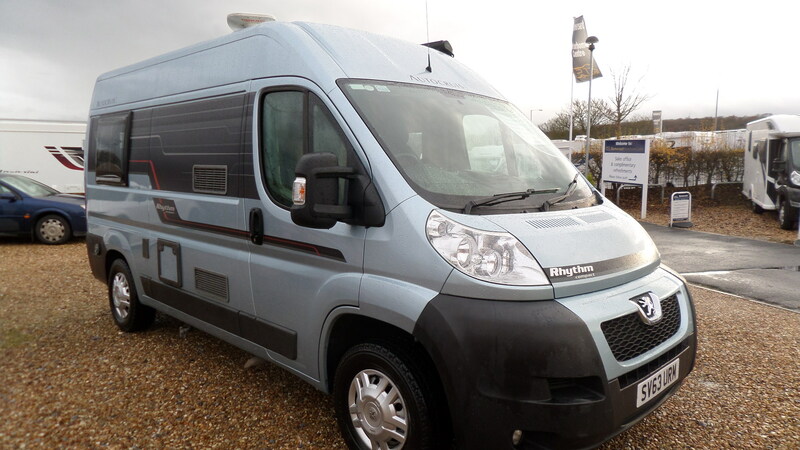 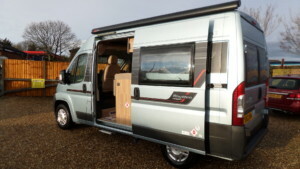 A lovely 2 berth model from Autocruise and it’s all in the name. 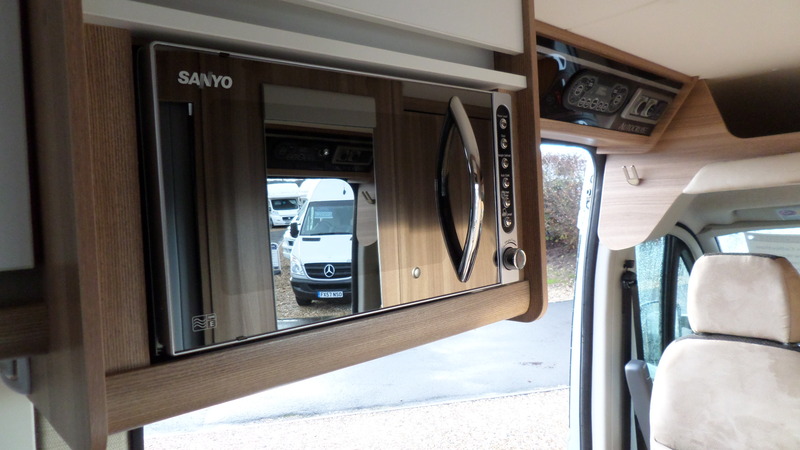 The Compact is just that at only 5.41m and by clever design manages to offer a good sized rear lounge, practical kitchen and functional washroom. 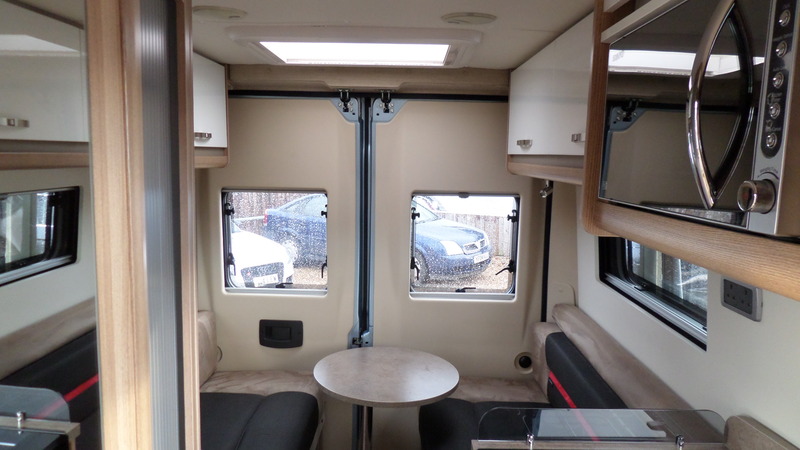 The lounge is comfortable and ideal for those lazy days, settle down for that first cuppa and you have a choice – a smaller circular table or a larger rectangular version, both with pedestal legs. 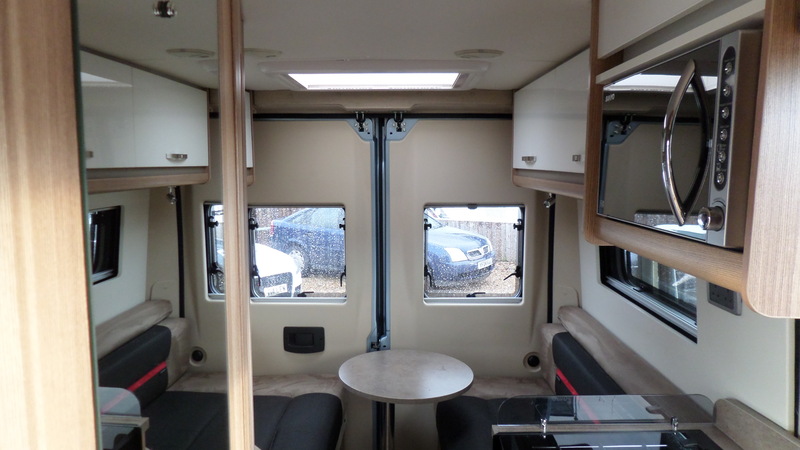 During the evenings the lounge area quickly and easily converts into a large double bed. You’re well catered for as far as in-van entertainment is concerned, there are speakers in the lounge ceiling for the CD/radio and a TV aerial is standard as is a bracket for a flatscreen TV. 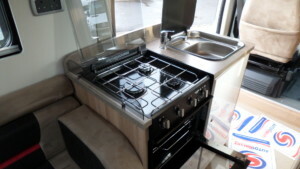 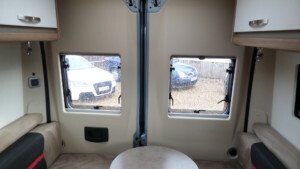 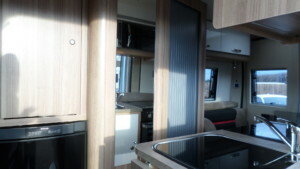 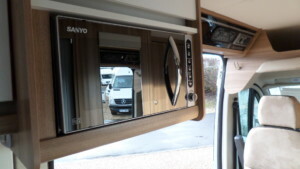 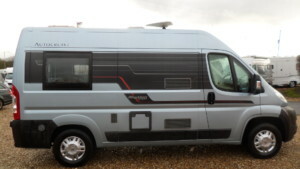 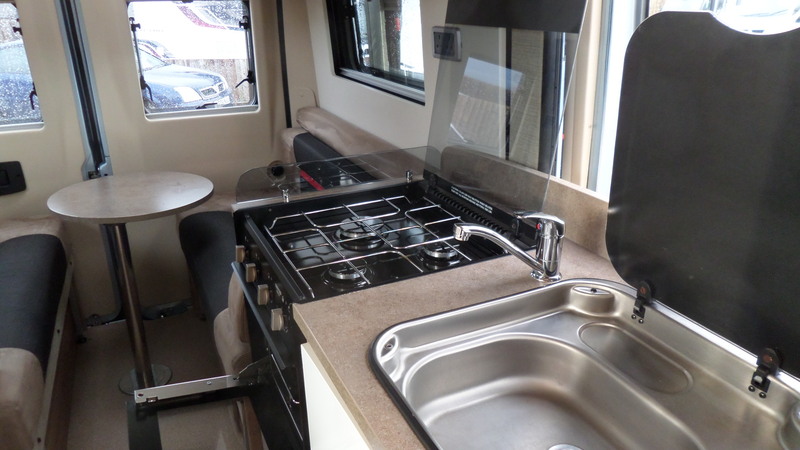 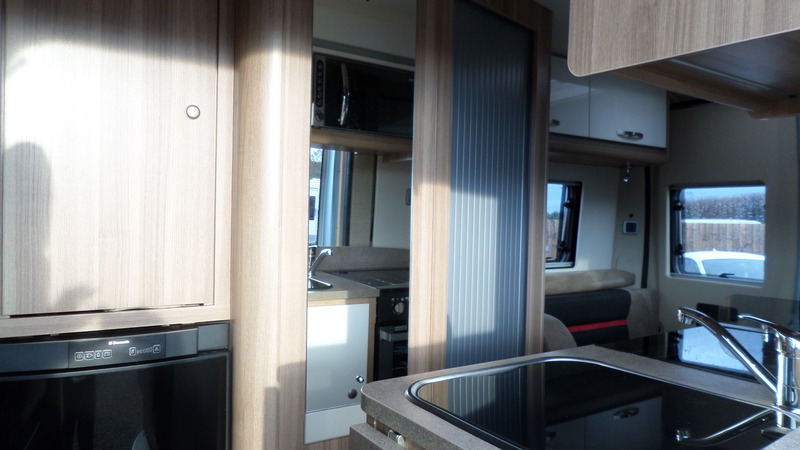 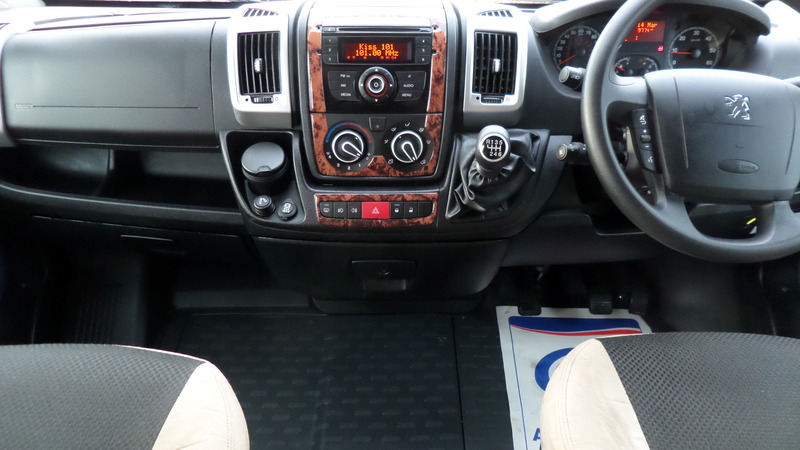 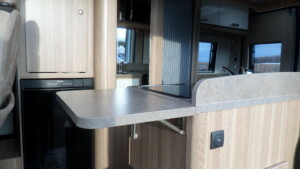 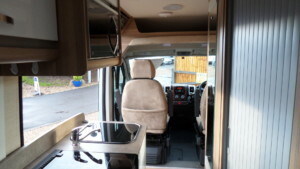 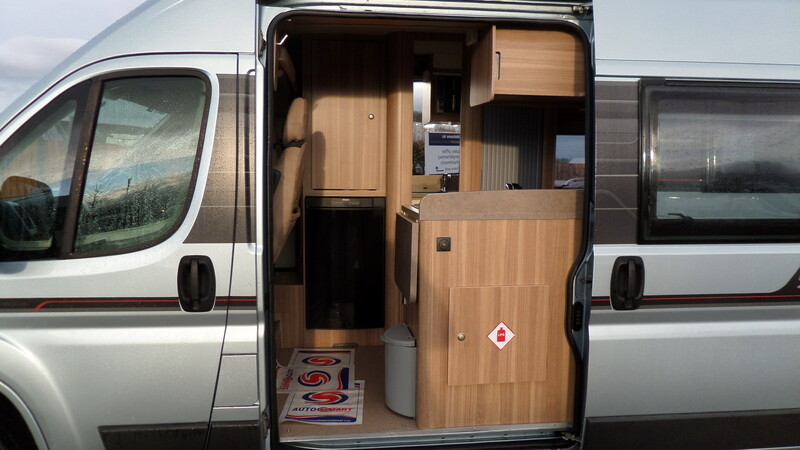 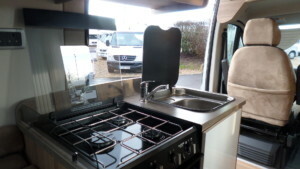 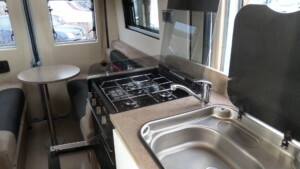 Mid-van, the kitchen is centred around a cooker with 3 burner gas hob, oven and grill. If that’s not generous enough for a vehicle of this size, there’s also a microwave oven. 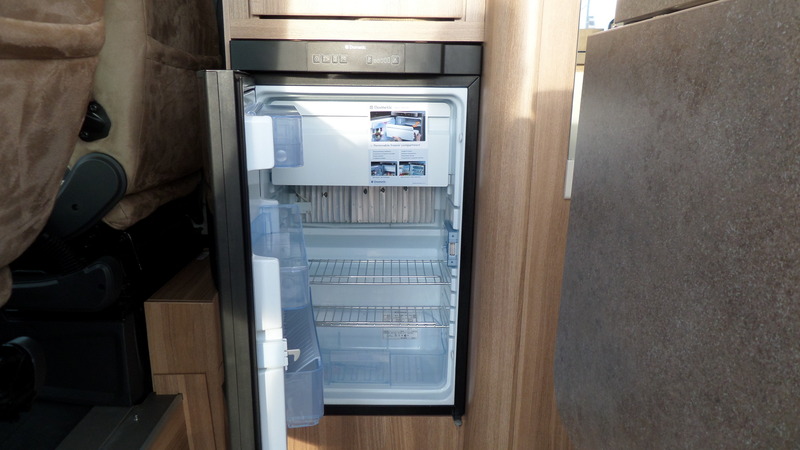 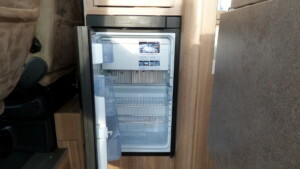 There is a generous 96-litre Dometic fridge opposite the kitchen with the facility to remove the freezer section altogether if you just want to use it as a larder. 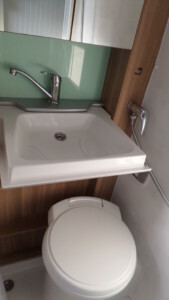 Adjacent to this is an equally well thought-out washroom offering a vanity sink, toilet and shower. 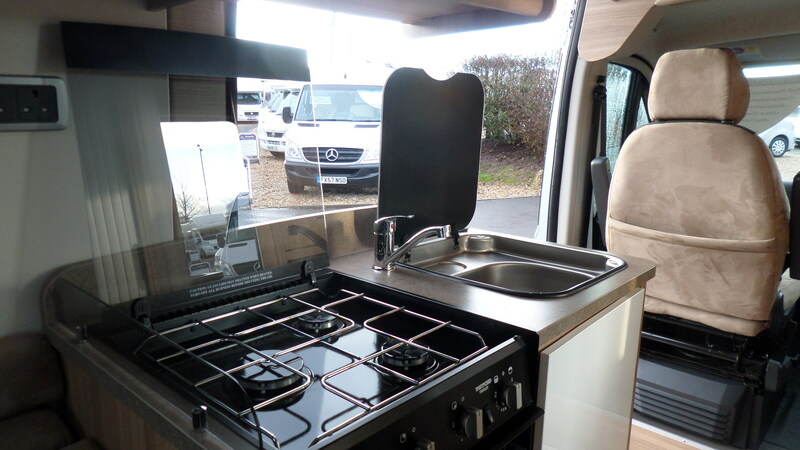 There are lots of neat touches with the Compact to make this a clever, smaller package, perfect for couples thinking about downsizing.